Samuel Perry, popularly know as Broda Shaggi has just been named the official Brand ambassador for Blockchain and Fintech Company based in Nigeria- Tradefada. With the increasing rate of awareness about cryptocurrency and blockchain, it is no news that celebrities are taking the center stage in the campaign to bring the 8th Wonder of the World to Africa and for Africans. Veterans in the Music industry- Akon, Don jazzy, Eminem and a whole lot of International Celebrities have shown keen interest in the ever-evolving technology. E-commerce is transforming the world into one global marketplace and Tradefada provides online merchants and payment solution utilizing cross-border logistics services to various e-commerce companies and traders around the world. Tradefada – a subsidiary of sfc ltd which is the 3rd largest logistics company in china with the vision to secure to be the most dependable entity in the world of across the world and foster global trading by collaborating technology with innovation. 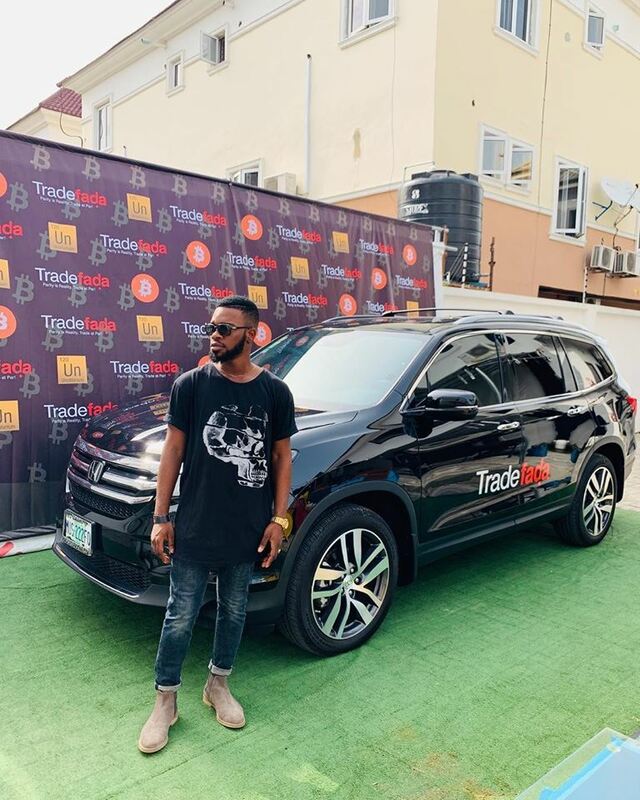 Cryptotvplus was live at the launch of “Broda Shaggi” as Tradafada brand ambassador held at PopHub4, Admiralty Street, Rockdrive, Lekki Phase 1,Lagos, Nigeria. The event was graced with several blockchain thought leaders, think tanks, cryptocurrency enthusiast.